Layne Flack was born in Rapid City, South Dakota on May 18, 1969. Layne Flack started playing cards as a child, and when he grew up he decided to become a poker dealer at a casino. He would play poker after work, and soon quit his job as a dealer so he could play poker full-time. On the advice of Huck Seed, who he had met in Montana, Layne Flack went to Las Vegas to try his poker game there. Layne Flack did well, and used his winnings to enter more and more poker tournaments. After a poker tournament he had won, Layne Flack went to play some more poker and lost almost all of what he had won. That is when he met Johnny Chan. Johnny Chan told him to go get some sleep and he would stake Layne Flack in the poker tournament the next day. Layne Flack followed Johnny Chan’s advice and won the tournament the next day. Chan’s investment had paid off. 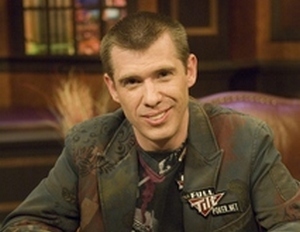 Layne Flack now has 5 World Series of Poker bracelets, two of them coming in consecutive events in 2003, earning him the nickname “Back to Back Flack.” Layne’s WSOP victories came in 1999 in Pot Limit Holdem, both his victories in 2002 came in No Limit Holdem, and his consecutive victories in 2003 came in Omaha Hi-Lo Split and Limit Holdem Shootout. Layne Flack started doing drugs, and it became so much of a problem that in 2004 his girlfriend picked out a rehab center for him while his friend, fellow poker pro Daniel Negreanu paid the entire $60,000 bill. His month in rehab helped Layne Flack out immensely and got his life back on track. Layne also has a World Poker Tour title and has won nearly $3.5 million dollars in tournament winnings. He lives in Las Vegas, Nevada. He plays at PokerStars under the screen name reloadthis.